Here’s another term to add to your digital marketing lexicon: lifecycle marketing. This can be one of the best goodwill generating concepts in the world of digital marketing and, when properly executed, one that nets ongoing returns. First, what is it? Lifecycle marketing is the process of providing your audience the kinds communications and experiences they need, want, or like as they move from prospects to customers then, ideally, to advocates. To be a master of customer lifecycle marketing, one must possess a genuine understanding of their target audience and be ready to work toward retaining and growing customer value over the long term. Generally, a lifecycle marketing plan is a three-phase framework, Attract, Sell, and Wow. Each phase consists of three stages that include basic strategies and tactics that coalesce into a single, self-sustaining process. Rolling out a customer lifecycle marketing plan is a lot easier when done in these phases and can be done quickly and affordably with easy-to-use automation technology. The goal of the Attract Phase is to get the attention of the consumers you want to buy your products or service. The stages include Target, Attract Interest, and Collect Leads. Target – Targeting is when you identify specific types of individuals then address them directly with your marketing. Most common ways to target an audience are by interests, behavior, demographics, location, context,(targeting by topic on the page which is matched with the corresponding message of your ad to reach and connect to an audience with an interest in your product or service), device, etc. Attract Interest– Attract visitors to your website with great content like ebooks, infographics, research reports, webinars, social media, and blog posts. 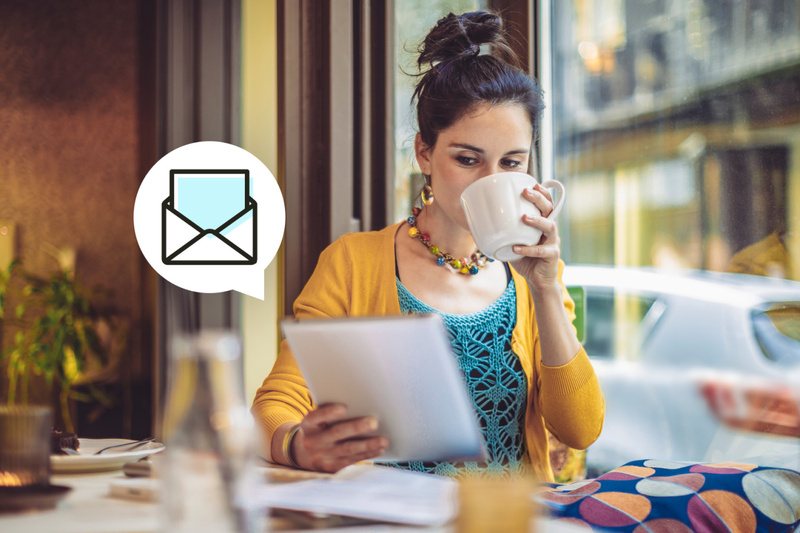 Collect leads – Use a web form that includes offers, free consultations or premium content to encourage visitors to sign up for your email list. 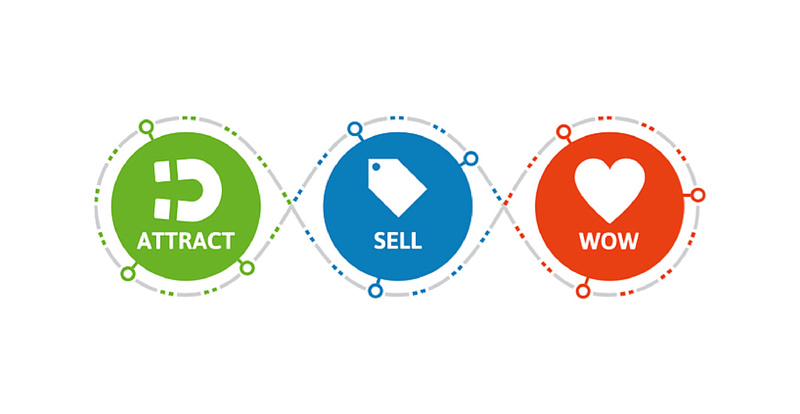 Sell is the second phase of the Lifecycle Marketing model. This is your unique strategy that makes your product or service the obvious choice when those you’ve attracted are ready to buy. Sell Phase stages are Educate, Offer, and Close. Educate – Create a consistent campaign of useful information with automated, personalized follow-up messages. Offer – The best way to craft an offer is to observe past customer actions and create a buying process map, then provide an irresistible offer. Close – Closing the sale is more than the transaction. The close involves clear communication, good presence, and written documentation. Getting to Wow involves three key stages: Deliver and Wow, Offer More, and Referral. Deliver and wow – Fulfill your commitments on time, follow through when and where it is required. Offer to provide additional value that surprises and delights customers. Offer more – Always be developing strategies, tactics, products, and services to help generate additional sales and recurring revenue. Referrals – Encourage referrals by creating incentives for customers and partners. Nothing to it, right? The truth is, there are no “secrets” to creating successful customer lifecycle marketing strategies. Many small businesses have been practicing these tactics in some form for a very long time. Are you a lifecycle marketer? Do you plan your sales and marketing as a single process, or as a collection of activities? Tracie Rollins contributed to this article. The Lifecycle Marketing framework has proven ideas and innovative strategies designed to help you get more customers, grow your sales and save time.